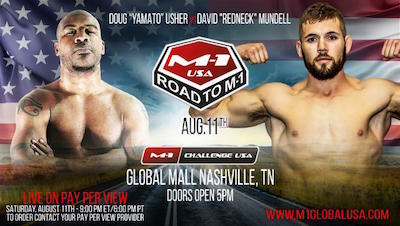 The “Road to M-1: USA” professional mixed martial arts pay-per-view event takes place this Saturday, Aug. 11 from Global Mall in Nashville, Tenn. The event is headlined with two of the top middleweights in the business as Florida’s David “Redneck” Mundell (9-3) faces Georgia’s Doug “Yamato” Usher (9-3). In the co-main event, veteran Arkansas fighter Dawond Pickney (15-10) takes on Cuban lightweight standout Yoislandy “Cuba” Izquierdo (11-4), who is fighting out of Charlotte, North Carolina. 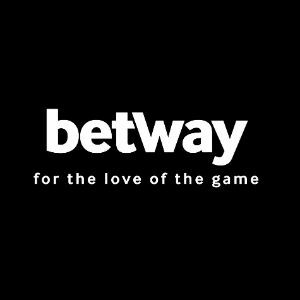 The feelgood story of the show is undefeated Brazilian MMA fighter Bruno Ferreira (8-0), who has successfully beaten testicular cancer, returning to fight after three long years, versus always tough Tony Gravely (12-5), of Virginia. HOW TO WATCH: Integrated Sports Media will distribute “Road to M-1: USA” in North America on cable, satellite and digital pay-per-view via iN Demand, Vubiquity, DIRECTV and DISH in the United States, in addition to Rogers, Bell TV, SaskTel, and Shaw PPV in Canada, and live-streamed worldwide on the FITE.TV app and website (www.fite.tv), each way for a suggested retail price of only $19.95.